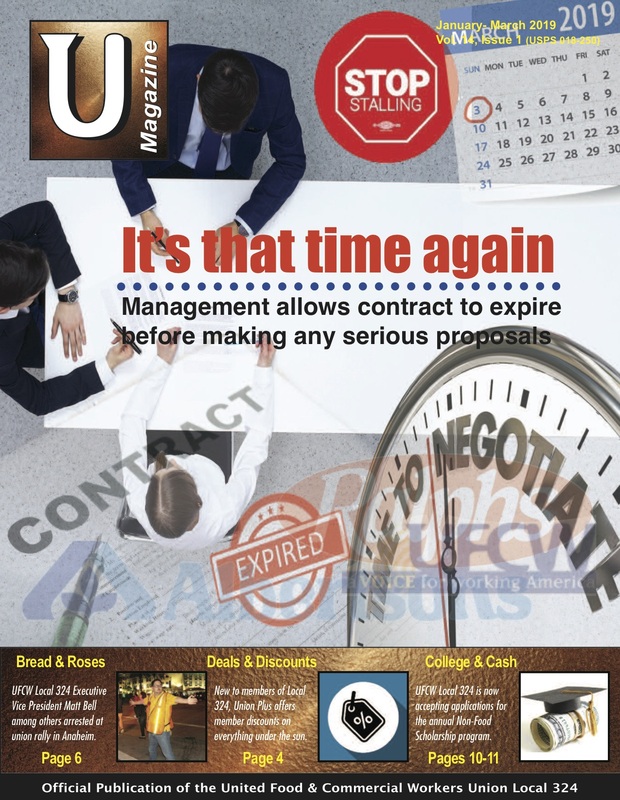 UMagazine is the signature publication of UFCW Local 324 and is mailed to member’s homes bimonthly. Its four-color glossy pages include award winning photography, news, human-interest features and commentary in every issue. Readers can also find material for discount tickets and for changes of address in the magazine. Unlike other publications in the Labor Movement, Umagazine doesn’t lecture you about how you should think, it strives, instead, to keep you informed so that you can think for yourself.